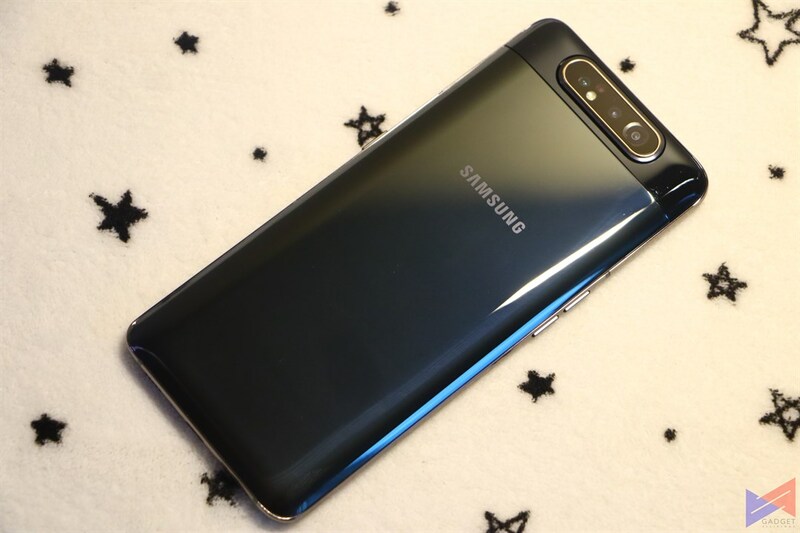 With the launch of the Samsung Galaxy A80, the Korean tech giant aims to break boundaries in just about every aspect – from the stylish look, to new processors that deliver unprecedented performance in the mid-range category, and of course, cameras that are not just capable of taking high quality photos, but are also intelligent in a number of ways. Today, we had a chance to test out the phone’s gaming capabilities, and perform a number of initial benchmarks. Let’s have a look. The Galaxy A80 runs on the new Qualcomm Snapdragon 7150, which leaves us very curious as to how this new chip performs compared to the likes of the Snapdragon 660, or even the 675. It also has a generous 8GB of RAM, which should ease up your multi-tasking woes, guaranteed. Note: Before we proceed, please note that the tests below were done on Engineering samples of the A80. 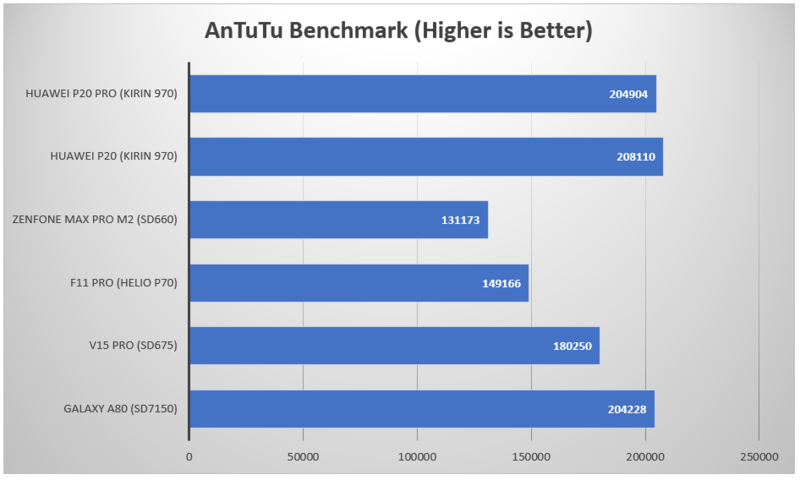 In terms of benchmarks, the A80 lands somewhere close to the Huawei P20 and P20 Pro – both are powered by a flagship grade Kirin 970. That tells us that we can can expect good daily and gaming performance from this new Snapdragon 7150 chip. We also did a quick gaming test using the Gamebench app on two popular titles – PUBG Mobile and Arena of Valor, the former is battle-royal game, the other a MOBA. As you can see, the Galaxy A80 can run PUBG Mobile at HDR quality with Ultra Frame Rate and Anti-Aliasing enabled. A 100% FPS stability rating means that the actual FPS is close to the median throughout the duration of the test. That also means there are no significant frame drops, and the overall experience is quite fluid and smooth. If PUBG Mobile runs that well, you should also expect a MOBA like Arena of Valor to run just as smooth or even better. In fact, as indicated by the FPS chart, from the 5-minute mark, where the game actually begins, FPS is very steady until the end of the test. Seriously, it just runs buttery smooth. So given its performance, you may ask, just how efficient is this new chip anyway? The answer is, It’s pretty decent. You can continuously play PUBG Mobile on it for 3.5 hours, and AoV for 4.5 hours at their settings as indicated in the gaming test section. The screen was set to around 60% brightness when the tests were done. The Samsung Galaxy A80 is a mid-range powerhouse, no doubt. It’s performance can even rival last gen flagships such as the P20 and P20 Pro, and actual gaming performance is quite impressive. We’re looking forward to testing more titles, and doing more benchmarks, hopefully in the retail version, to whether there’s a significant difference in performance.